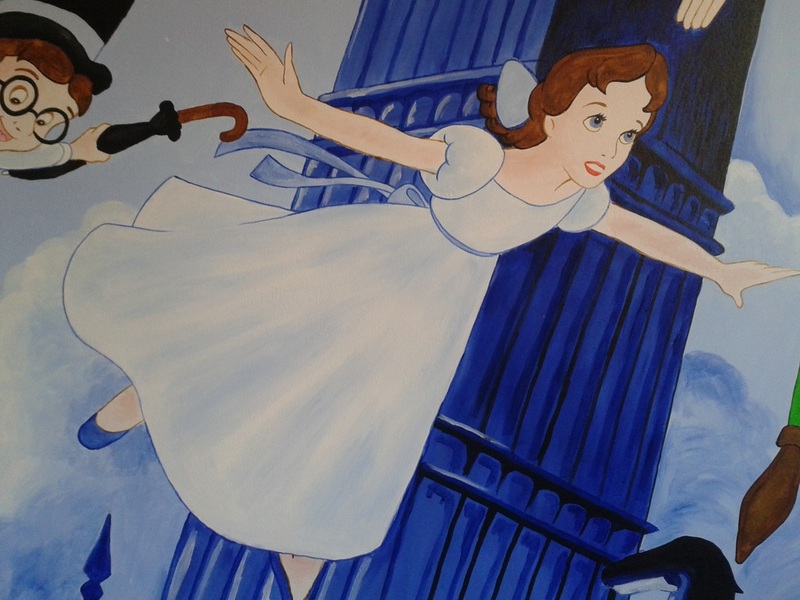 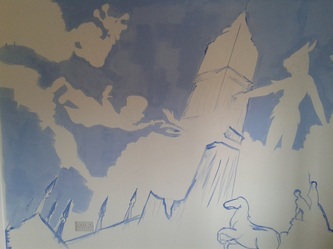 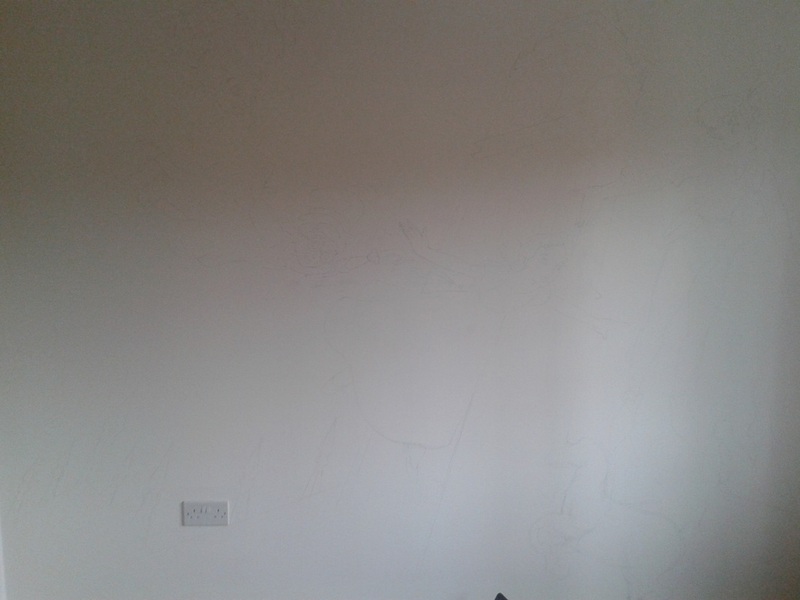 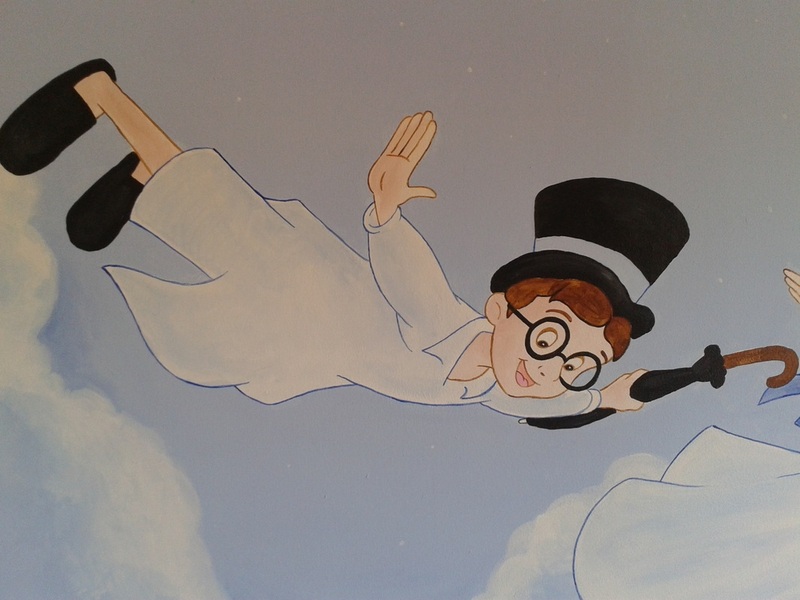 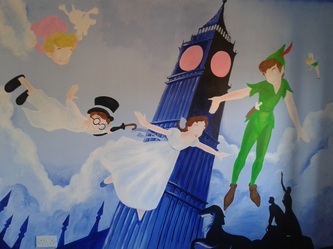 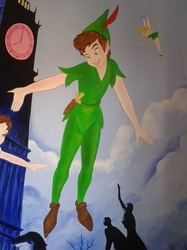 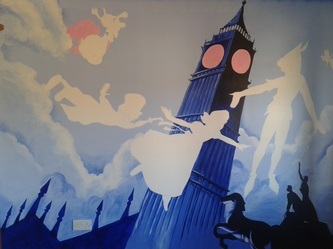 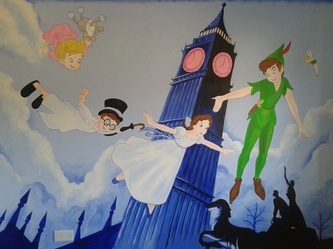 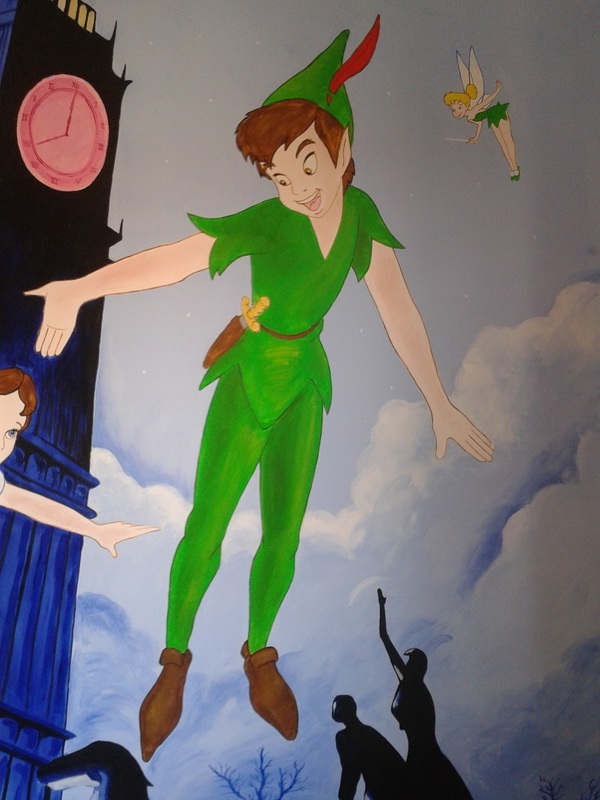 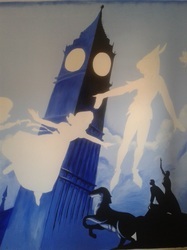 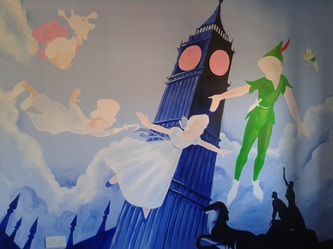 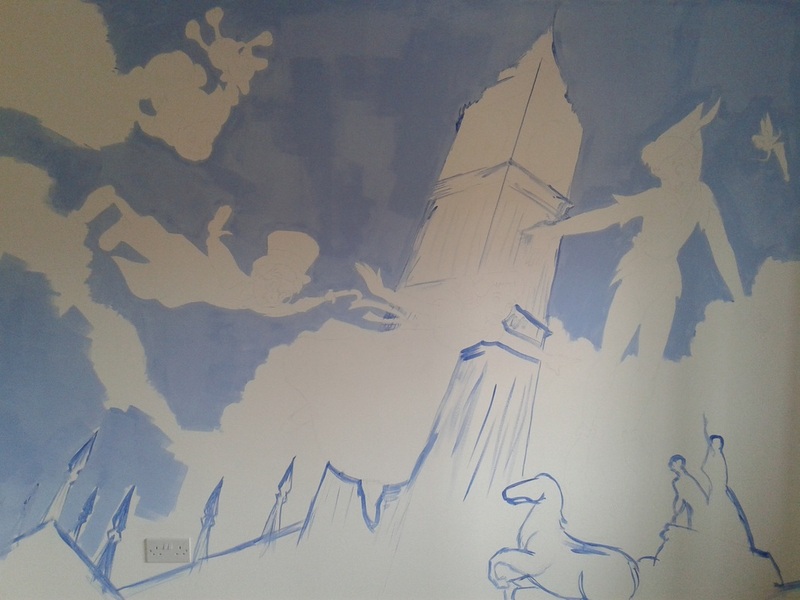 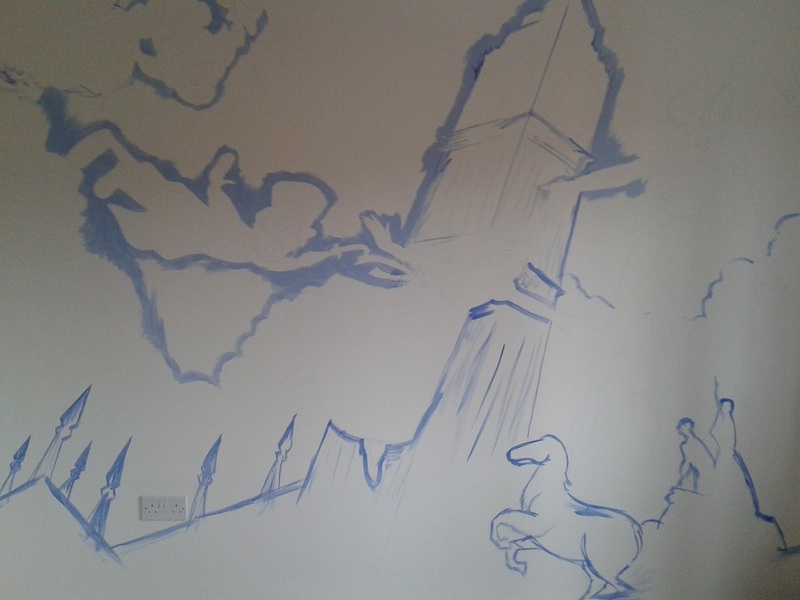 Apparently its the small things in life that make a difference - those of you who a familiar with Peter Pan will notice that in this wall mural Michael (the youngest) usually has a brown teddy bear. 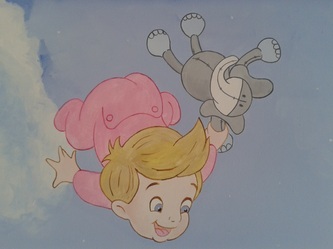 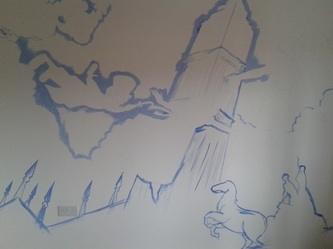 When I was asked to produce this wall mural, the parents wondered whether I could incorporate one of their children's favourite toys... which turned out to be an elephant called Peanut. Its nice when you can make wall art that is a little bit more personable.